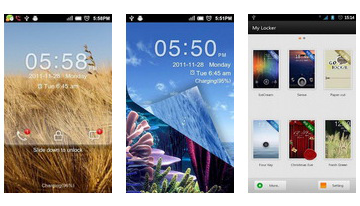 Creative Locker program encourages you to forget about the old and boring screen lock, it's time to make them bright and colorful, giving your android freshness and a lot of interesting features. Moreover, the program will expand the functionality of a little after the fact is much more convenient to the standard lock. The program will make use of your IntelliCover android easier and life more enjoyable, because high-tech, consumer-oriented, created exclusively for its convenience. 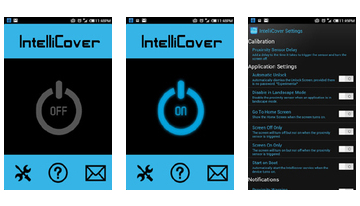 Using the phone sensors, utility controls all the actions that you perform with your phone, allowing you to streamline processes to enable or disable the display. 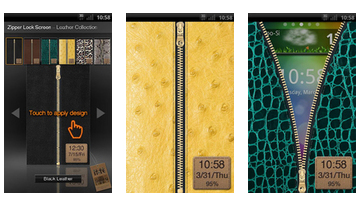 The program Zipper Lock Leather Collection is designed for the most stylish android owners are now locked on the image you can put the most fashionable skin fasteners. About clasps it is precisely because it's performed by means of "undoing" of the screen. I present to you the program LockMenu Pro, which allows you to run shortcuts from your desktop directly from the lock menu. 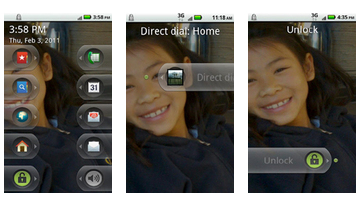 Make your phone more convenient and practical, it should work for you! GO Locker - An excellent and easy to use program that allows you to choose any kind of lock you have on the device of your choice. Quick and easy transition from the lock screen in contacts or mail. 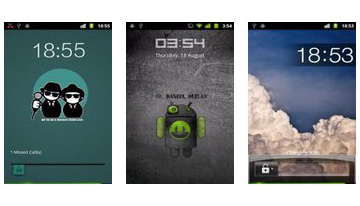 MagicLocker - a program to replace the default lock screen. 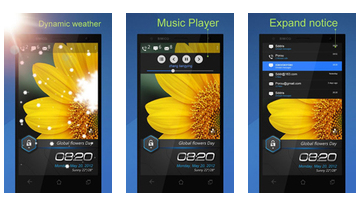 It has a built-in theme (the first screenshot of the droid) and the ability to install more of the Market 5. All while free. Live Locker - a convenient lock.